Mr. Wu Hanling, President of Handi Group, visited the new staff who were having the summer training in Yangpn Technical School on 24 August. Mr. Wu Hanling welcomed the new staff on behalf of Handi Group and thanked them for choosing Handi, saying that “You are the hope and future of Handi”. Mr. Wu Hanling delivered a speech with passion, the theme of which is The Yesterday, Today and Tomorrow of Handi. When he said that, “Opportunities are for those who are prepared. Handi Group is under rapid growth and is in need of talents on various fields. You fresh graduates are seeds to grow into big trees. Many key positions are waiting for you.” he was accorded a standing ovation. Mr. Wu’s speech encouraged and stimulated every new comer, urging them to work hard, wo grow themselves together with the company. “You are so lucky to join Handi at its best stage of rapid development.” said Mr. Wu Hanling with pride, “When the Phase III Project is completed, it will be the world largest single plant of specialty oils with top level technology and most robust product lines. We already have business with more than 20 top 500 companies in the world. 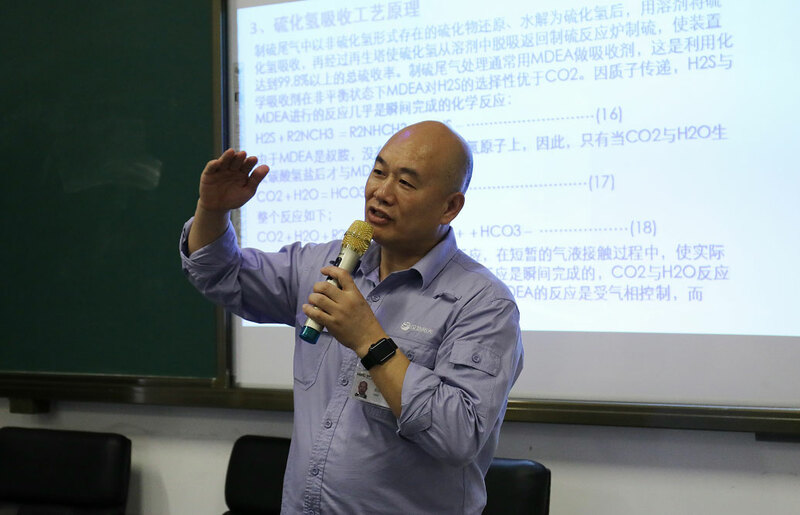 The Phase III Project has drawn attention from peer companies and media at the very beginning.” Mr. Wu Hanling hopes that the training could help new staff quickly grasp the knowledge and skills. As a private company, there is no bureaucracy but a healthy environment for those with capabilities to show themselves. Handi embrace talents and appreciate new bloods. Mr. Wu hopes that new staff understand their tasks and missions. Hainan is a good place blessed with all preferential policies. Hainan will be the window of China’s reform, which is the result of time. Xiong An Development Zone is the strategic movement propelled by domestic demand, while Hainan is the representative of external demand and overseas market development. Hainan development is now included in national strategy. Hainan will become the frontier of China’s reform. At last, President Wu Hanling instructed HR and Admin to take good care of new staff and wish everyone to grow with smiles and achievements.